This fun educational iPad app feels more like a game to our kids – full of challenges and giggles! 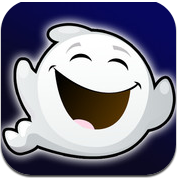 Giggle Ghosts is an adorable and enticing, educational preschool counting app presented to us by Busy Bee Studios. Halloween Perfect for our young kids. Great app that will have kids giggling right along! It’s Giggles Galore! Perfect numerous baby Giggles! You can help the ghosts get to the party by carefully guiding them with your fingertip. There are 20 ghosts flying around trying to find the party! Lots of counting practice in this app so you can keep track of the ghosts. If it looks like a ghost won’t make it over the chimney tops just give it a tap and enjoy the giggles! Guide the ghosts by tapping the chimney! Watch out for the clouds – you may need more taps! A house full of giggling ghosts! Tap them while counting for more giggles! Tap the balloons and anything you see for more fun! 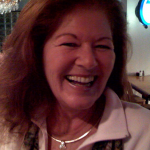 If there is anything we all need more of it is laughing. This kids app, that is full of giggles, will bring a house full of adults to laughing – you can’t not! Adults laughing with kids equals great life improvement. I was smiling and laughing through the whole edit process of this review. Thank you for visiting our website. Please consider using our links to purchase this great app. The cost is the same to you and helps us to keep reviewing. This is the perfect gift for a toddler! I can’t stop giggling myself! Thank you Susan! I laughed the whole while I was editing it. It is a great app for kids!